Nikolai Laursen is considered as one of the greatest talents in Denmark. 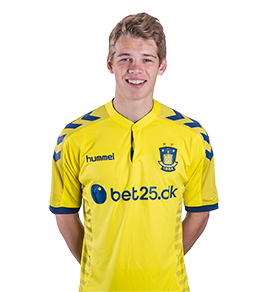 He comes from Brøndby IF youth academy. He made his Superligaen debut on 26 April 2015 against FC Vestsjælland, in which he replaced Alexander Szymanowski after 84 minutes in a 4-0 home win. He moved to PSV Eindhoven during the summer transfer window 2015 for a fee of about €1,3 million. 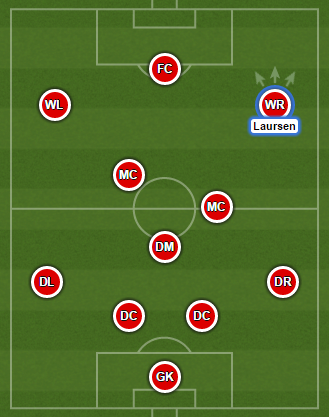 History and examples of Christian Eriksen, Viktor Fischer and Nicolai Boilesen show that the Eredivisie is a very good direction for young Danish players and it seems that Nikolai made a good decision to join the Dutch champions.